Saturday, April 7th, 2018 @ North Carolina Central University School of Law: 640 Nelson Street Durham, NC, 27707. 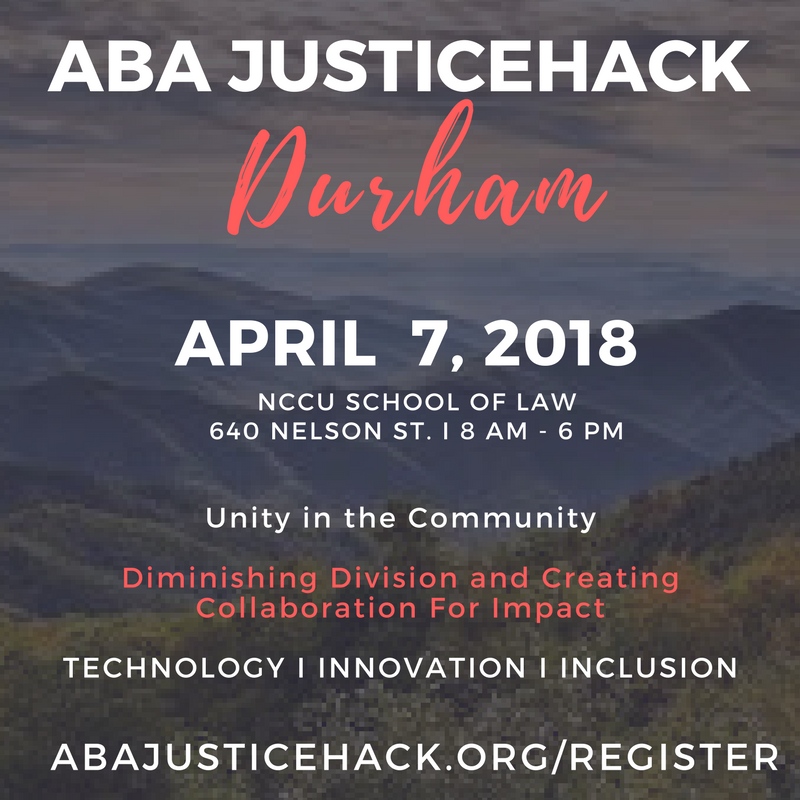 Details: ABA JusticeHack Durham is free. All meals and refreshments, including breakfast, lunch, snacks and evening lite bites are complimentary. Prizes and Judges to be announced soon. Watch the ABA JusticeHack Miami 1.0 Video for more details. Participating co-sponsors: the American Bar Association’s Coalition on Racial & Ethnic Justice, North Carolina Central University School of Law, NC Commission and Racial & Ethnic Disparities and more!